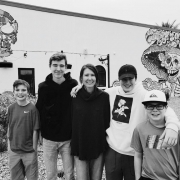 8 posts tagged with "mom-life"
It is incredible how we can lose sight of reality when it comes to parenting. There is nothing else that can cause us so much joy and yet great pain. 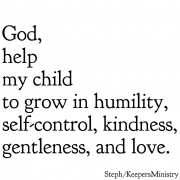 Children are a gift from God, yet we can become consumed with the gift so much that we lose sight of what we are supposed to do with the gift. 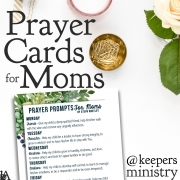 Coming SOON: New Devotional for Moms! 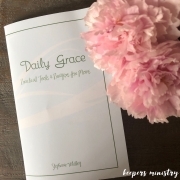 DEVOTIONAL COMING SOON! 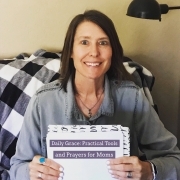 "Daily Grace: Practical Tools and Prayers for Moms"
~will he make good choices? 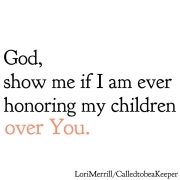 God, help us to be women who have a heart for our homes and who love fully the people who reside there.